In Stock: ONLY FIVE!!! (Email me to check on availability)!! 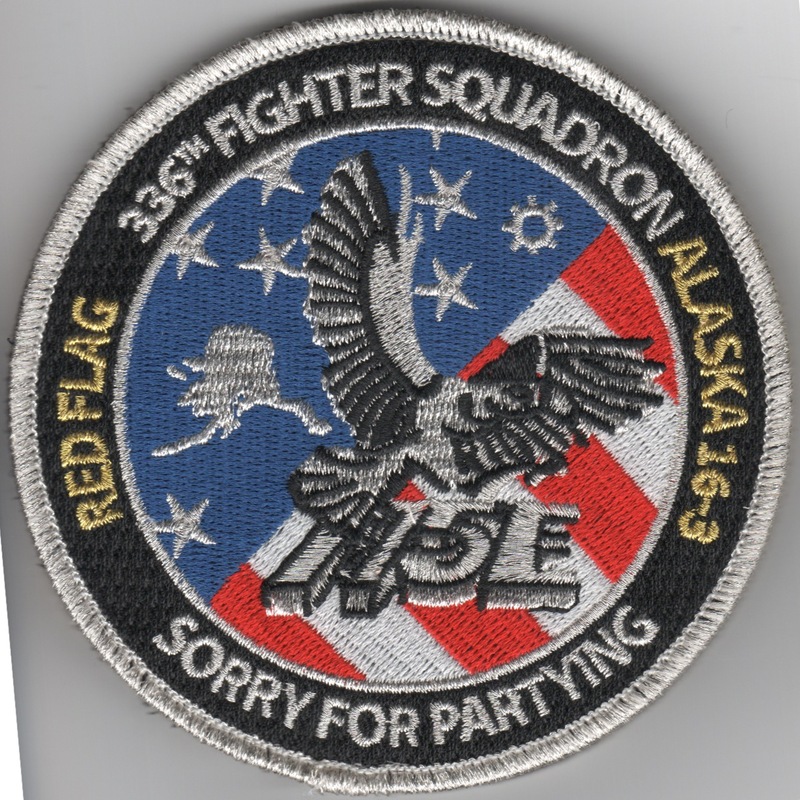 (Korean): The 335FS is a USAF unit. 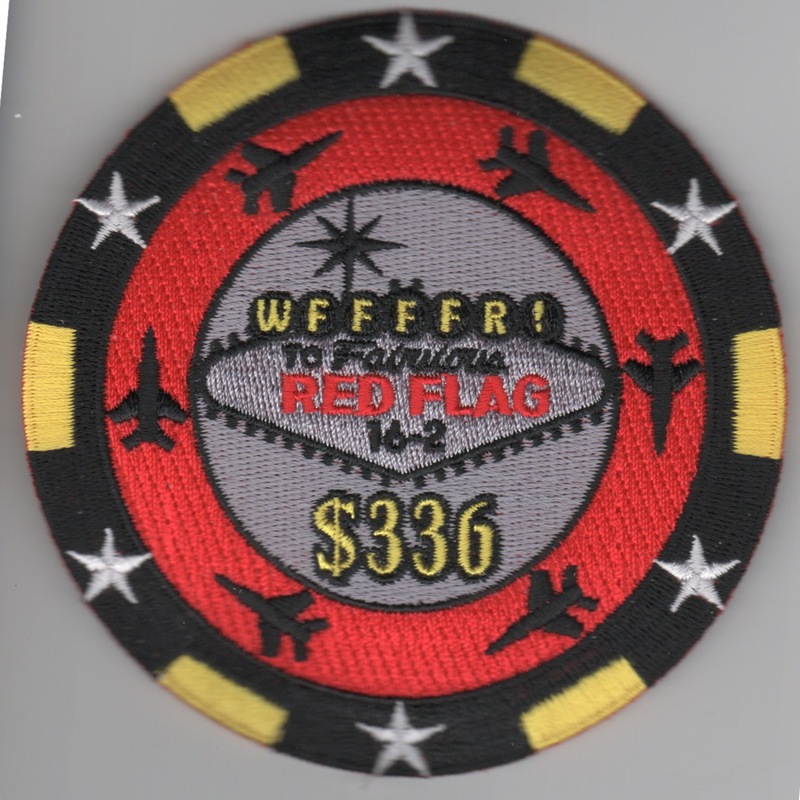 It is assigned to the 4th Operations Group and stationed at Seymour Johnson Air Force Base, NC. The 335FS was constituted on 22 August 1942 as an incorporation of the No. 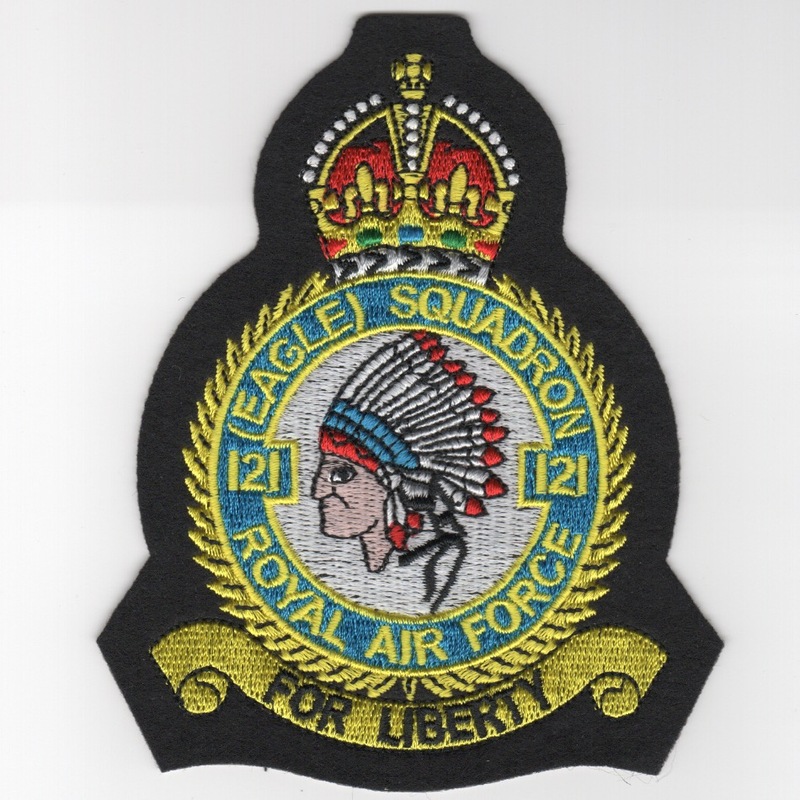 121 (Eagle) Squadron of the Royal Air Force, formed on 14 May 1941 as the second of three Eagle Squadrons of the Royal Air Force. 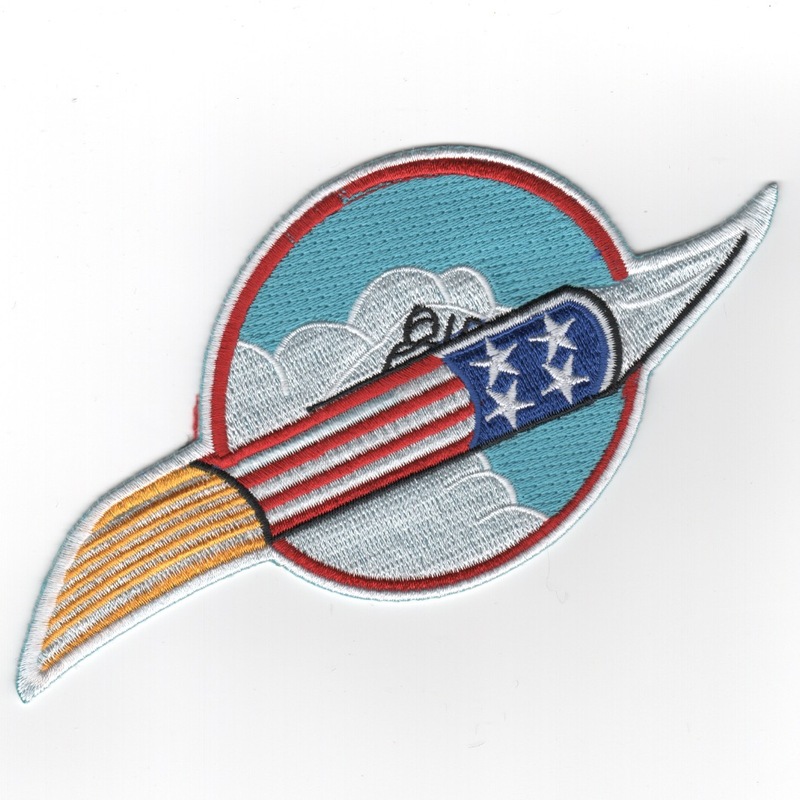 These squadrons were composed of American volunteers, recruited by the RAF as a result of the heavy loss of pilots during the Battle of Britain in 1940; the volunteers were ineligible to join the USAAF. In this capacity, the squadron operated Supermarine Spitfires and Hawker Hurricanes. 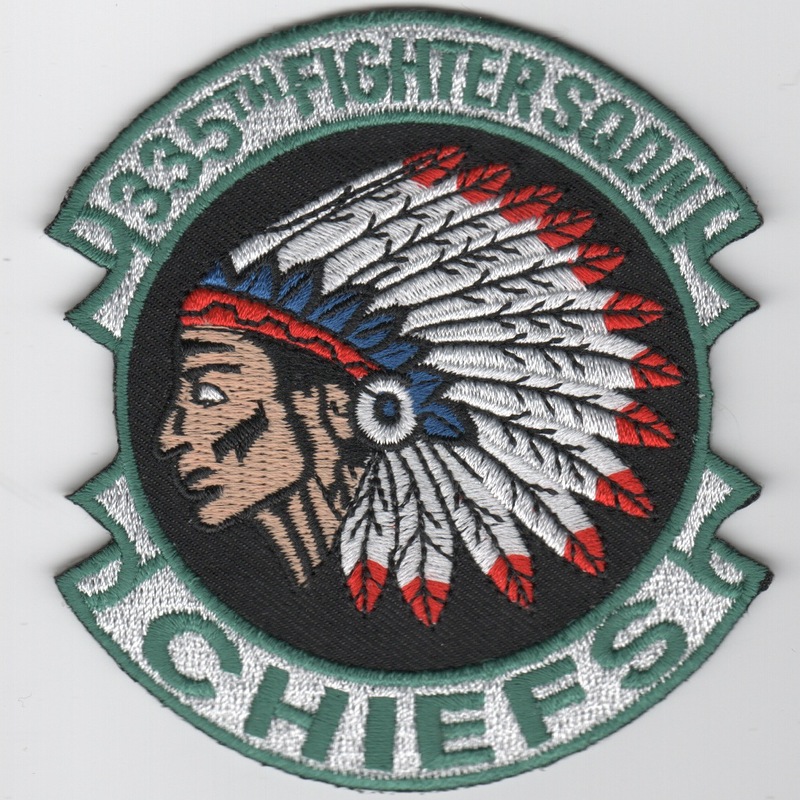 Its current emblem contains the head of an American Indian chief, which dates back to the original emblem of 121 Squadron RAF. 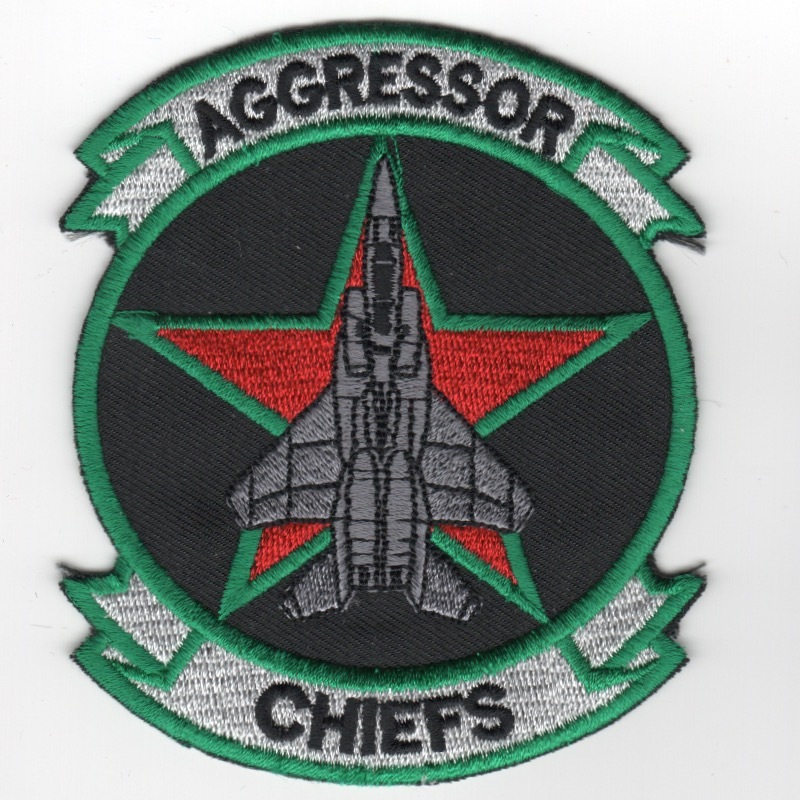 This patch shows the Strike Eagle planform with a RED STAR underneath symbolizing their "Aggressor Role". 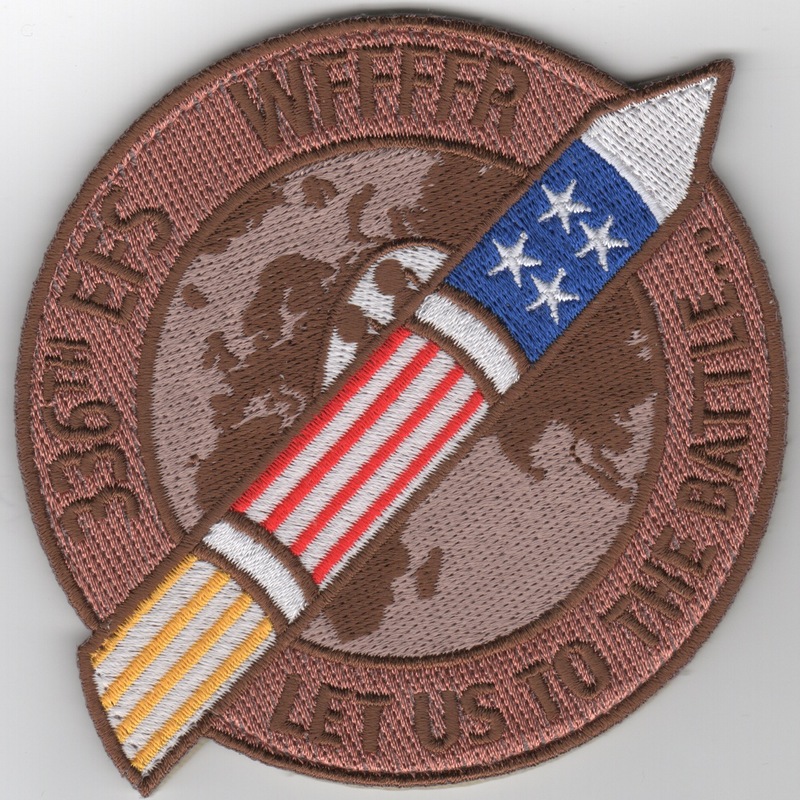 This patch was found in a Korean embroidery shop in limited quantities and does not come with velcro attached.